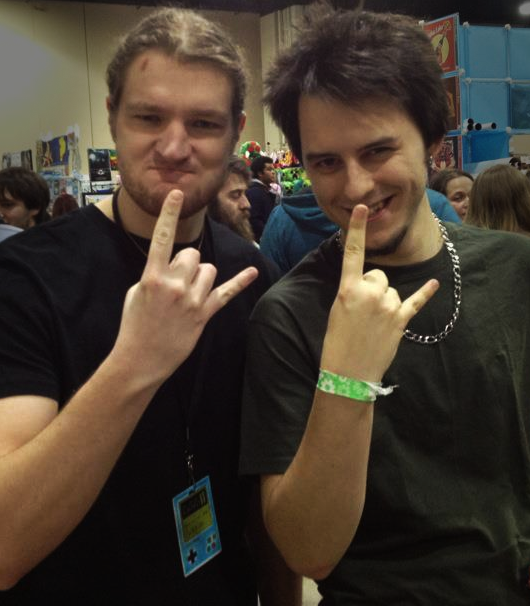 FamilyJules, or Jules, is an American guitarist best known for his video game music guitar arrangements on his channel at YouTube.com by the same name. He plays various instruments including Electric Guitar, Bass Guitar, Classical Guitar, Cello, Keyboard, and Ocarina and studied Classical Guitar in college. He has arranged, recorded, mixed and mastered over a hundred covers and medleys of his favorite video game music into various genres such as Rock, Metal, Acoustic and even Ska, Reggae and Jazz. When he isn't playing guitar he enjoys playing video games on his live Twitch.Tv channel so he can try new games and talk to his fans live and answer any questions they have. Jules will always describe himself as a musician before he’s a gamer, but obviously he held a controller years before he held a guitar. Even though he was born on June 11th, 1991, his first experiences with video games were playing the NES and Atari. His first game ever was the original Super Mario Bros. and soon moved on to games like The Legend of Zelda and Castlevania. He then played games for the Nintendo 64 for many years, even after the GameCube and other consoles came out. His favorite games to this day remain The Legend of Zelda: Ocarina of Time, Banjo Kazooie, and Jet Force Gemini. Jules received his first guitar Christmas of 2006. He had played piano and a little bit of drums before, but never really got serious into music until then. He went completely self-taught, mostly reading books and online tutorials and tabs until he felt he was disciplined enough to go on without them. His first guitar was a standard Rogue Dreadnought Acoustic guitar, but shortly after, purchased an Ibanez SA QMAM Electric Guitar so he could play in bands around his town. He loved playing riffs by some of his favorite bands including Avenged Sevenfold, Lamb of God, Killswitch Engage and Dream Theater. However, he also made sure not to ignore some other styles such as Jazz and Blues knowing he’d probably need those skills in the future as well. He joined many bands over the years that were all extremely unsuccessful. He was almost always slated to play lead guitars. When his third band finally broke up, he decided he wasn't going to do band stuff anymore because he felt the more people involved, the more likely it’s going to tank. Based on his love of video games and metal, he decided to combine the two having been inspired by guitarists on YouTube like CSGuitar89 and FreddeGredde. 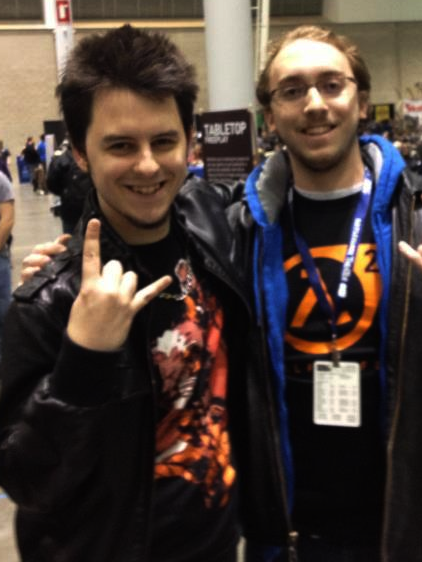 He decided to begin posting videos under his old high school nickname ‘FamilyJules7x’ during the summer of 2010. The idea was never really to become some kind of YouTube celebrity. That kind of thing never appealed to Jules in the least bit, he actually resented it. The original goal was to make a weekly portfolio, viewable to others for feedback, that he could go back to every once and a while to track his progress. He started seeing immediate success with gaining his first thousand subscribers in less than 6 months. He began doing tutorials for some of his most requested songs every time he broke another one hundred subscribers, but that started getting a bit too much and was taking up time from his weekly video schedule. At the time, he was already a high school graduate, but was working for a software company as a technician with flexible hours, giving Jules plenty of time in the week to work on his YouTube projects. It wasn’t long after he’d started that he thought of an interesting challenge: to make weekly video game covers for one whole year without stopping. Not only did he just do single song covers every week, he did a lot of medleys including making 20 medleys based on his favorite Nintendo 64 games. He ended the year off with a music video style version of the Super Mario 64 Credits Theme in the summer of 2011. By then he had hit 10k subscribers and over 1 million views and made contacts with such composers as Grant Kirkhope and Duane Decker of some of his favorite games! That summer he was asked to write an original soundtrack for an indie game that had been released on Xbox Live, but was about to be released on the Windows Phone. Jules never really thought of himself as much of a composer, but he excitedly took the job. This experience helped Jules realize that he wanted to compose soundtracks for Indie Games for a living. Shortly after, he decided to do a whole second year of weekly video game covers since the demand was so high and he had missed doing it after only three months after completing his first one. He began with a Legend of Zelda: Twilight Princess medley on October 11th, 2011. This year, he was much more interested in Indie Games for this year focusing on covers for games like Super Meat Boy , Castle Crashers, and Cave Story. However he also kept balanced by doing covers of older games like Super Mario Bros, all the way up through Pokémon and up to the recent Mass Effect series. Besides one hic-up due to a week long power outage, he completed that year with another music video style cover of the Ending Theme from Legend of Zelda: Ocarina of Time. 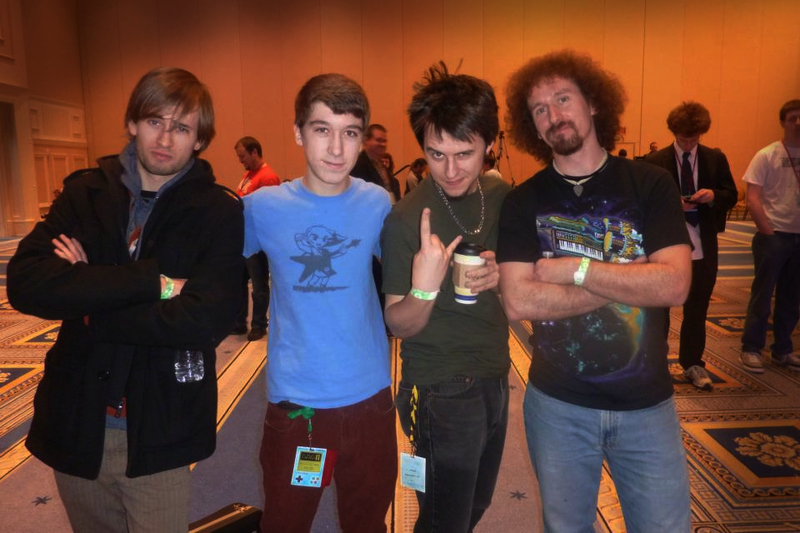 During the year, Jules was contacted and praised by many composers including Danny Baranowsky (Super Meat Boy, Binding of Isaac). Danny was working on the soundtrack for the new DLC of the game The Binding of Isaac, and asked Jules to play guitar for the final boss battle theme. Jules can be heard on the track “My Innermost Apocalypse” on The Binding of Isaac Soundtrack. He has since been interviewed by such people as MANvsGAME and others and has seen much praise from Kotaku, Reddit, Dorkly and others. He currently has over 200 videos, 150k subscribers and over 20 million total YouTube views. After releasing a cover album of the music to the critically acclaimed VVVVVV, Jules was hired to cover the entire soundtrack of Danny Baranowsky's original soundtrack to Crypt of the Necrodancer in 2015. He released Aria's Ascent: The Crypt of the Necrodancer Metal Soundtrack featuring 20 songs featured in the game along with 8 bonus tracks featuring such YouTube stars as Jonathan Young, ToxicxEternity, RichaadEB, and Adriana Figueroa. Jules as begun bringing his covers to the stages of PAX and MAGfest and hopes to continue to do so and work in the indie video game scene in the future!